Its always nice to spend some quality time with the kids during the holiday seasons, from Christmas and Easter to Halloween and birthday parties, nothing makes a holiday more special than children. 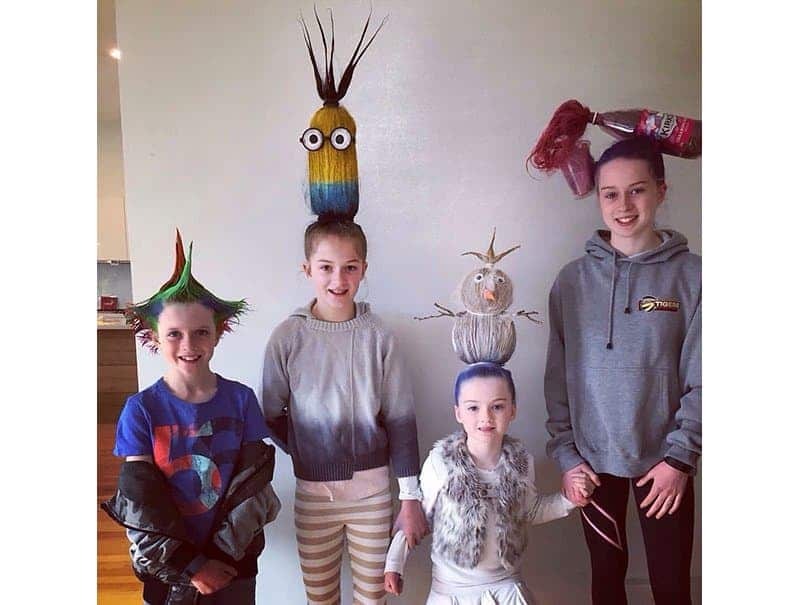 One way to bond over a little creative project is to do up their hair in creative and fascinating ways. 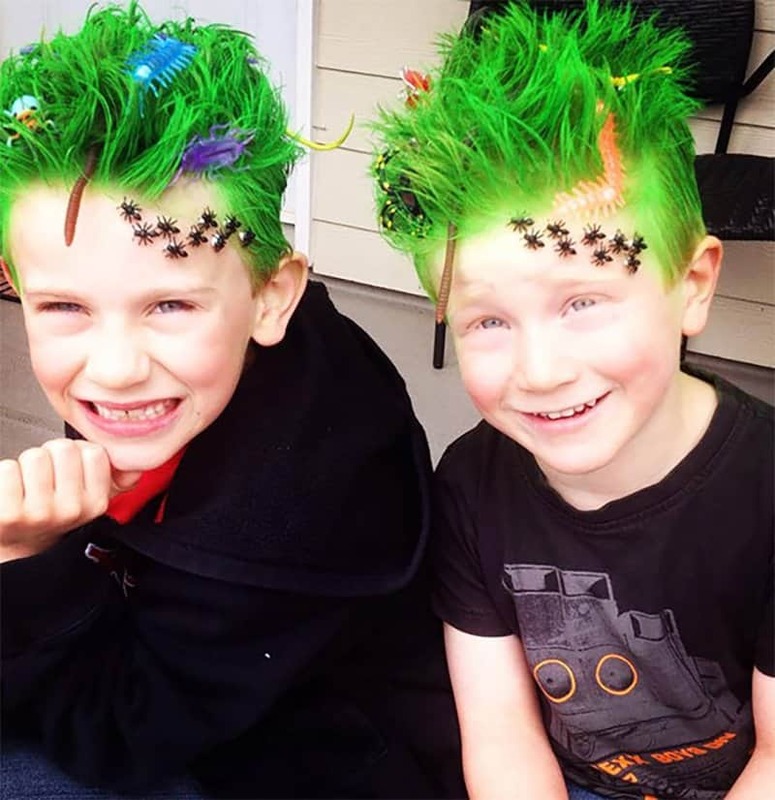 So how about this weekend try out some of these creative hair styles for either boys or girls and bond while having a bit of a laugh? 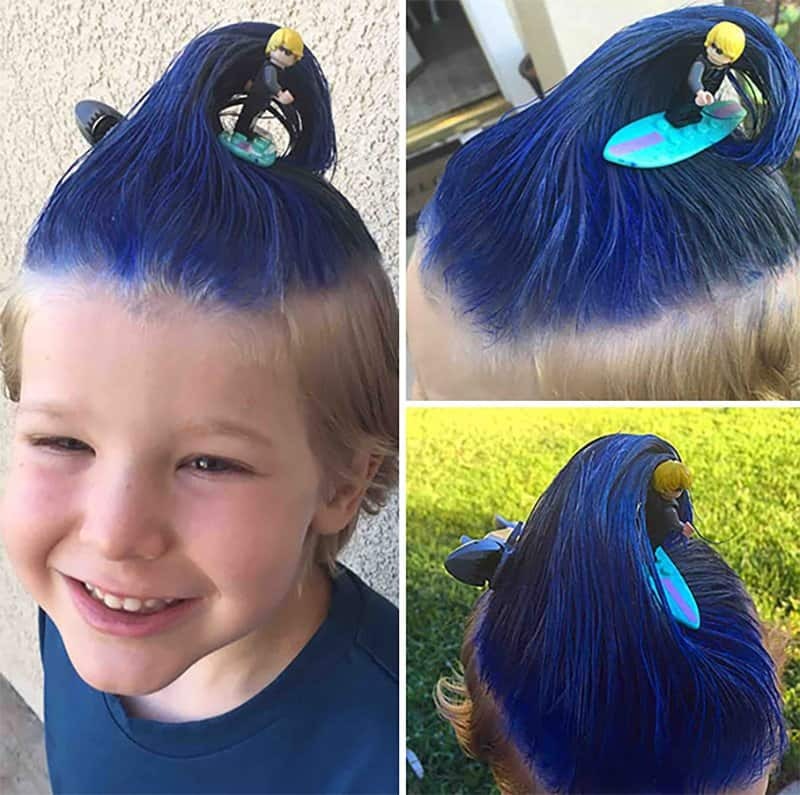 This is a list of ten awesome hairstyle to make your kids the coolest this weekend or at the next party. This stage production of family hair must have taken a long time to put together. Very creative and very cute, especially the minion with the glasses. 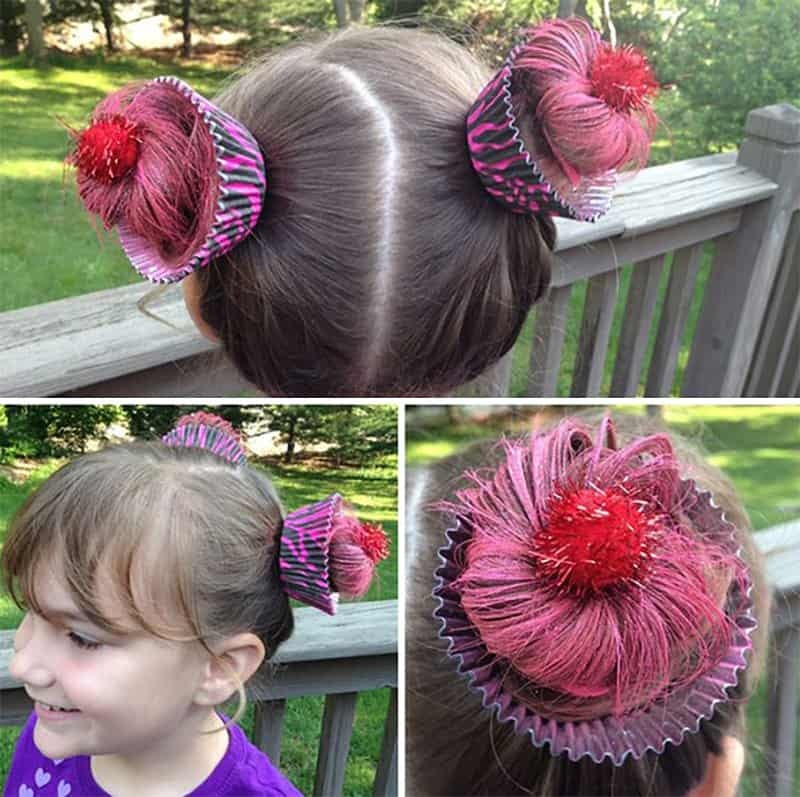 With little cup cake holders with holes cut in the bottom and some pink hair spray, something very cool can be created! 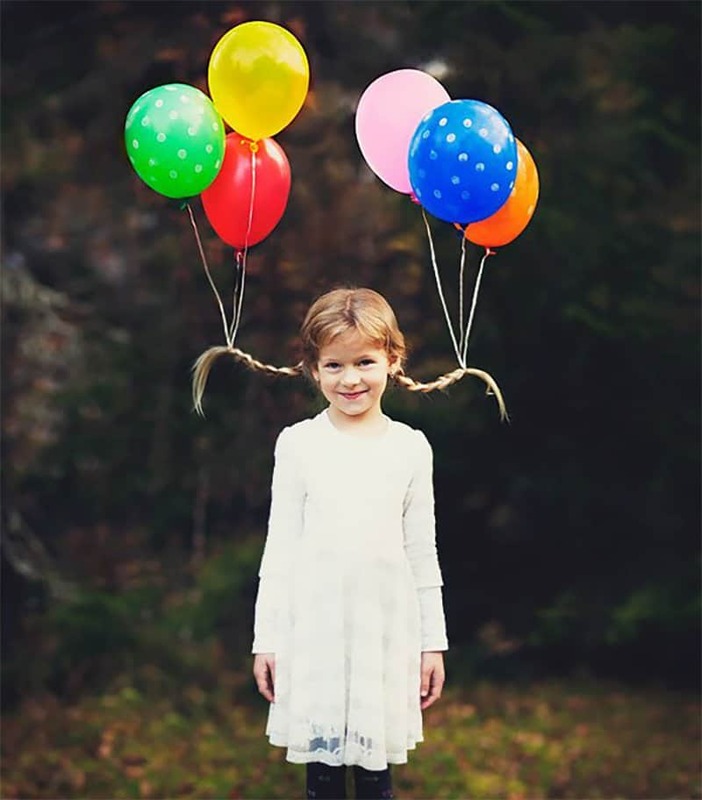 This little girl with her pigtails held up by helium balloons looks like she belongs in the cast of The Wizard Of Oz, playing the main part of Dorothy. The only thing missing is the ruby slippers. 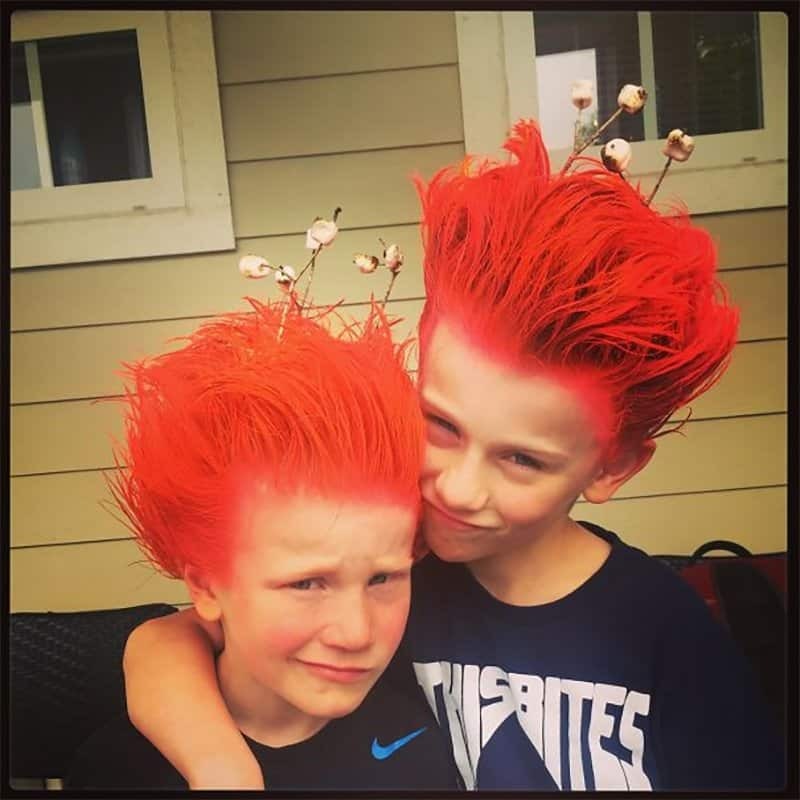 Making the most of what you have is always the best course of action, so for redheads some orange hairspray and small marshmallows makes their head look like a camp fire. 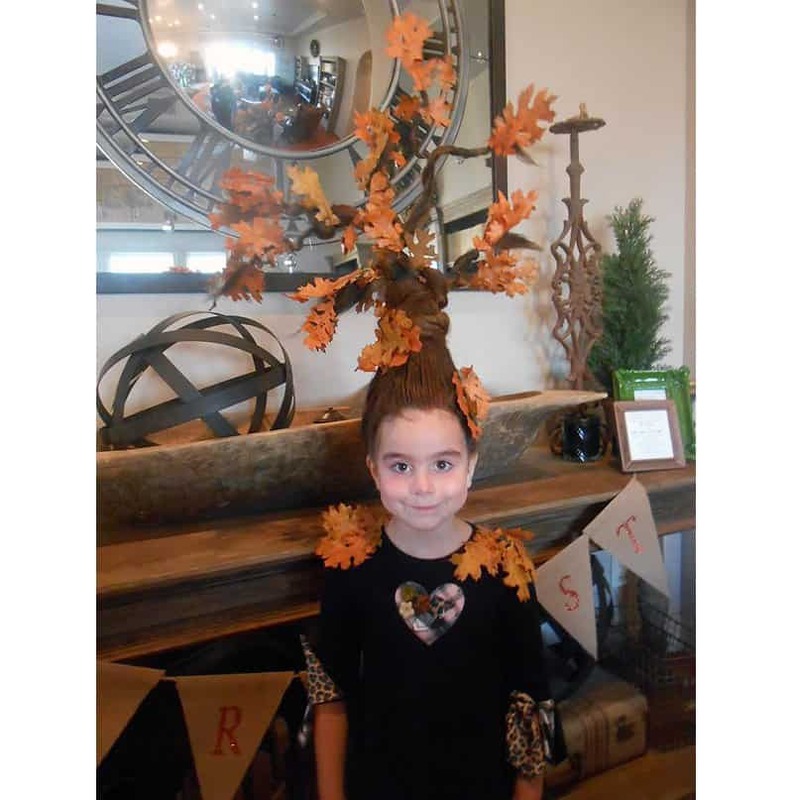 After summer when everything cools down, there are lots of dead leaves falling off trees — this it the best time of year for this hairstyle. 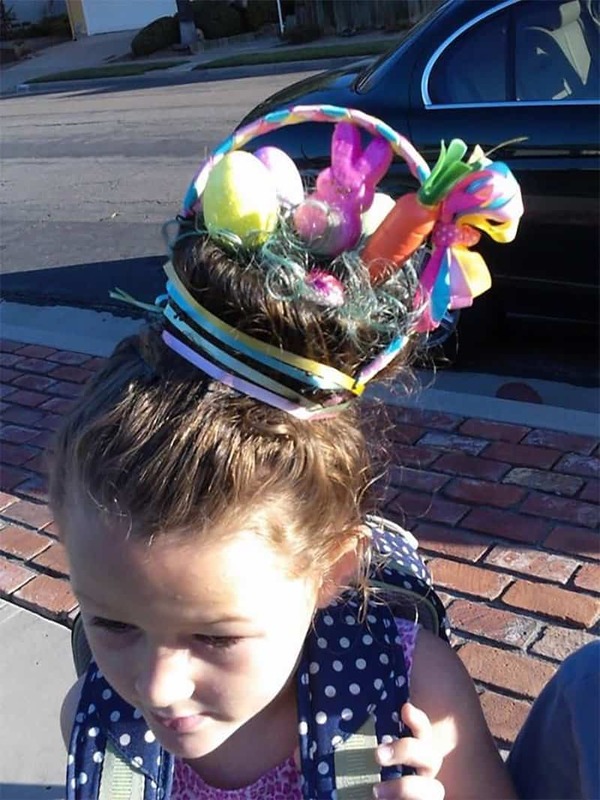 Every child loves Easter because of the bunny and the confectionery eggs, so why not make a hairstyle that reflects the joy of Easter this year? 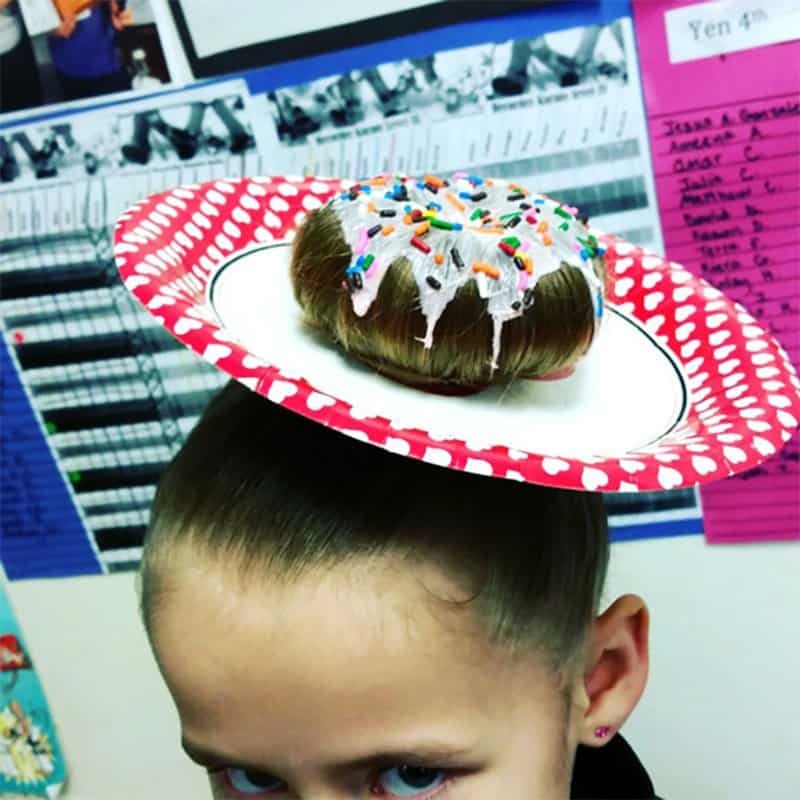 Simple and fast, this hairstyle requires nothing but a paper plate, some white hair spray and some delicious looking cupcake toppings. Creative and fast is always the best in this busy day and age. For boys who love everything creepy and crawling, this hairstyle would be a surefire hit. Although it may be a challenge to get them to sit still long enough for the final photo. 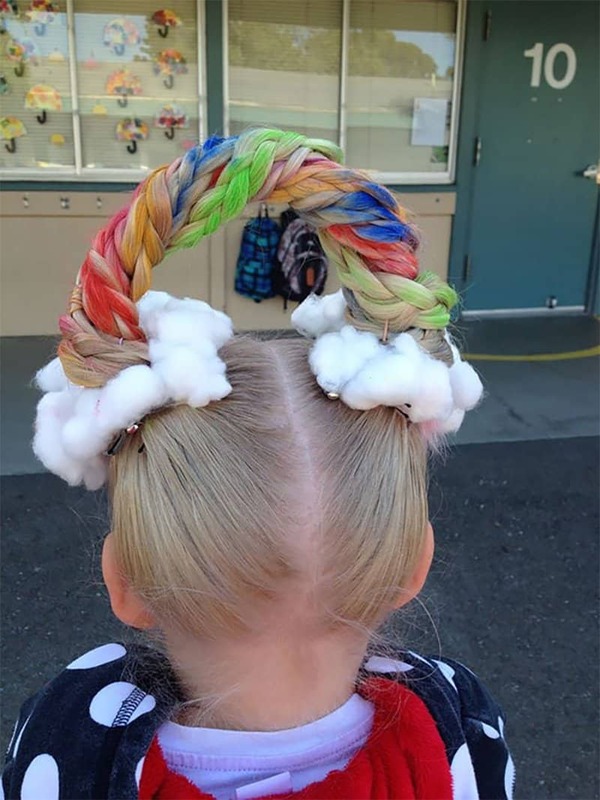 With clouds made of cotton wool and a little bit of colorful spray, this hairstyle looks like a rainbow poking through some white fluffy clouds. The difficulty in this hairstyle lies with weaving the hair together from different directions to get it to stand up together. For the boys – or girls – who love to swim at the beach this hairstyle is awesome. Some gel to get the hair to look like a cowlick, and some blue dye and you have the wave, followed by a surfer dude toy from the dollar shop.